This photograph is of the Charles Hazen farm located one mile east of Studley. The photo was possibly taken in 1889. 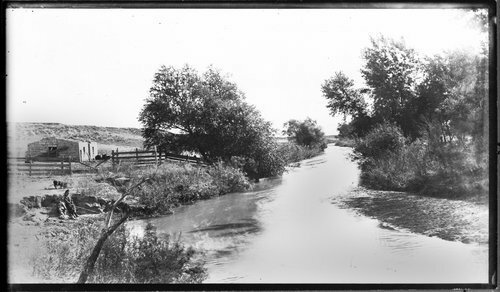 There is a creek in the foreground with two children fishing.